Last night's co-op stream we dove into Barony: Cursed Edition. 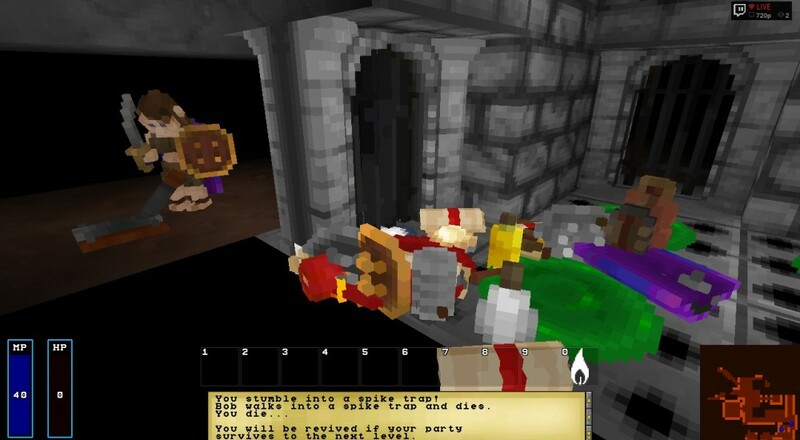 The rogue-like dungeon crawler is available on Steam and has received some major updates in the past few weeks. The game is the culmination of a small team which consists of a 10 year industry veteran, and indie developers as young as 21. Our look at the game has three of us generating random characters and heading into the random dungeons to face off against random rats, skeletons and trolls. But perhaps the deadliest enemy we ran into was our "friend" - Mike - who decided to cage us like animals and unleash a spike trap. We've got three runs into the dungeon, one of which was quite successful. The others? Not so much. Barony: Cursed Edition is available on Steam for PC, Mac and Linux and supports cross platform play. The game is priced at $9.99. Page created in 0.6904 seconds.